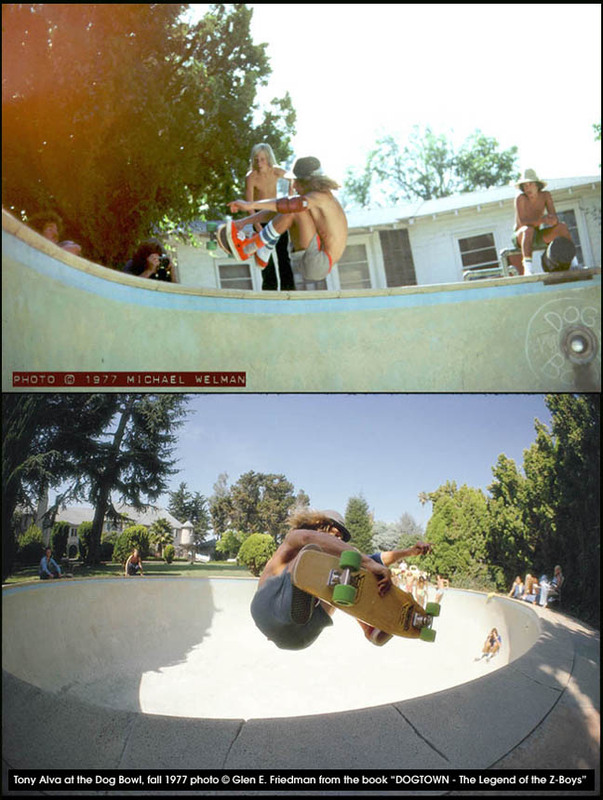 Check out these photos recently uncovered of Glen and Tony Alva, shot by Michael Welman the same late afternoon as one of the most famous DogTown images. 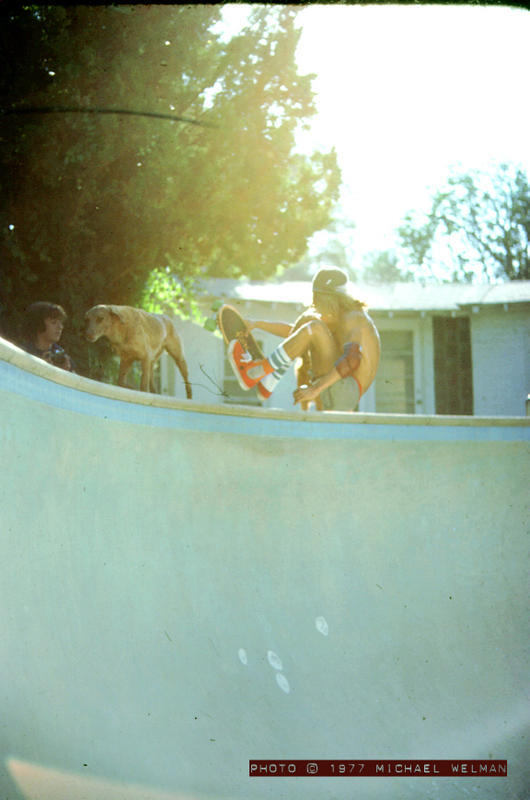 Glen E. Friedman shooting Tony Alva at the Dog Bowl in the fall of 1977. 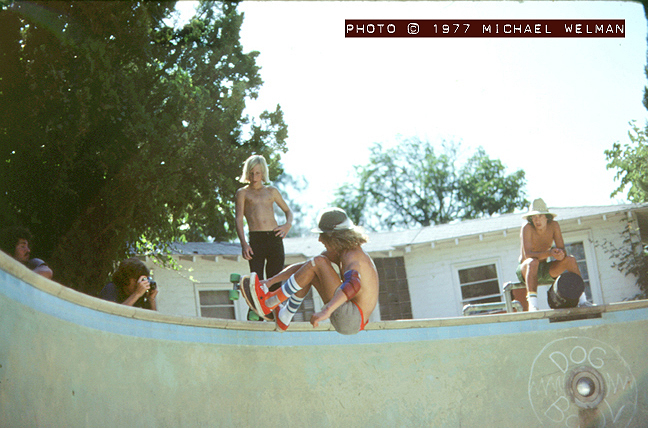 Only recently uncovered, previously unseen pictures by Michael Welman. 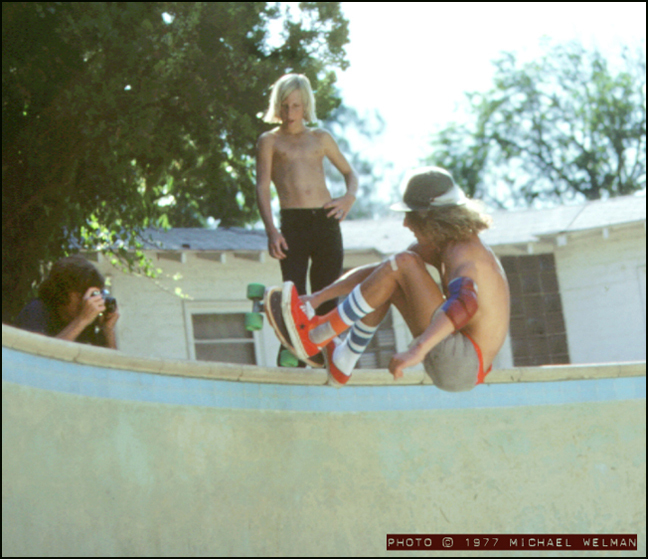 Here’s the full frame classic shot by GEF. 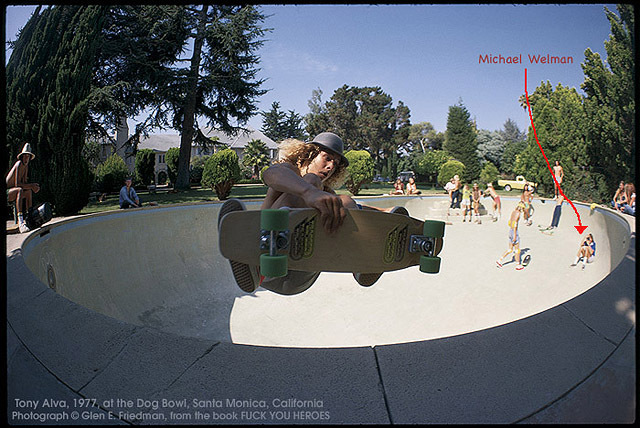 Notice Michael Welman in the background shooting from the same position as the photos he shot below.